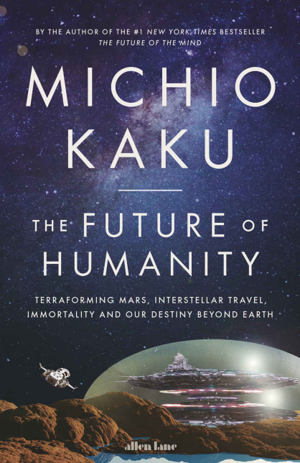 The Future of Humanity - Michio Kaku — Karn Couzens & Associates, Inc.
Mr. Kaku is almost always upbeat in his predictions for the future, which is frankly refreshing. Perhaps the Dystopian future of many novels, movies and television shows may not arrive after all. In his latest book, he positives the way humankind can move beyond Earth to the moon and the planets. He imagines a future where mankind manages to build a new home on Mars, and the techniques we might use to do so. The author also discusses the search for extraterrestrial life, and how we might manage to transfer our bodies, or our intellect using AI, to the stars.